U.S. military waste in Greenland is ultimately Denmark’s problem — but Nuuk plays a key role in preventing new forms of pollution, a UN report said. Greenland was right to demand in 2016 that Denmark assume full responsibility for cleaning up the waste left behind by the U.S. military starting in the 1940s — but if Nuuk is to be able to control new sources of pollution while also managing its own waste, it must up its game. These were the findings of a report delivered to the current session of the UN Human Rights Council finds. Copenhagen eventually agreed to foot the bill for cleaning up the approximately 30 sites, however, the decision came only after it initially suggested that Nuuk had assumed responsibility for the problem when authority for environmental protection was devolved to it in 1989. But that line of thinking, according Baskut Tuncak, the UN special rapporteur on toxic wastes, ignores the fact that Greenland was not represented when Copenhagen and Washington worked out agreements that allowed U.S. forces to establish bases on the island starting in 1941, when it was still a Danish colony. As a result, it cannot be saddled with the responsibility for cleaning up the waste that was left when the bases were abandoned. 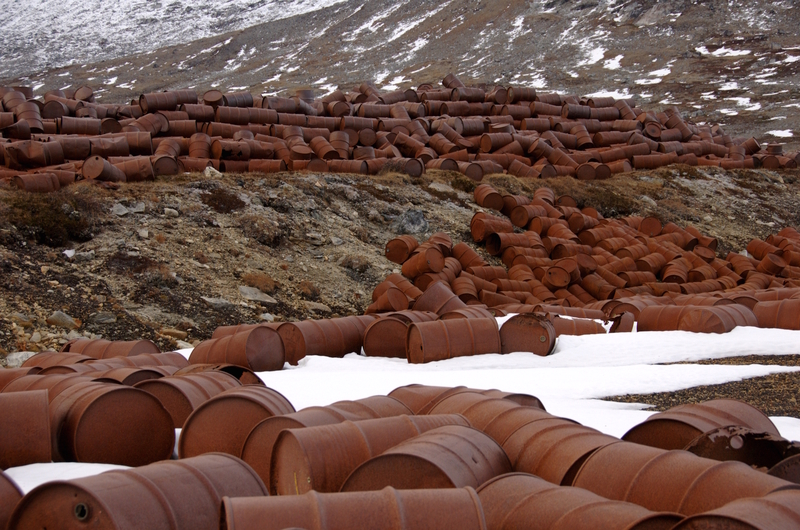 The report also sides with the Greenlandic position that Denmark is responsible for cleaning up the entirety of the waste, even if Washington refuses to accept responsibility for it. Likewise, Copenhagen needs to be forthcoming and provide all the information in its possession about the extent of the pollution. “Denmark must identify and remove all military waste left in Greenland that is unwanted by the Greenlandic people,” Tuncak said, using language that echoes the comment he made after a fact-finding visit to Greenland last year. Nuuk and Copenhagen continue to disagree about the amount of money that will be required to clean up the pollution sites, just as some voices in Greenland have called for at least one of the sites to be left untouched as potential disaster-tourism attractions. Other points of dispute include how to address Camp Century, a secret Cold War base built into the ice sheet of north-western Greenland. As the icecap retreats, scientists worry that toxic and radioactive waste previously entombed in the ice will be released into the environment, though they lack a full understanding of how this will happen, and thus, how to deal with it. A picture of a chemical lab at Camp Century taken while the base was active. Equally unknown is the extent of pollution associated with the continued presence of US forces at Pituffik, the site of Thule Air Base, a key U.S. installation. Although the situation surrounding the American use of Pituffik weighs heavily on Nuuk, the report does not settle the question of who would be responsible for future clean-up efforts there. While noting that Denmark remains responsible for defense issues, it also points a 2003 agreement that requires Copenhagen to consult with Nuuk on decisions about international-relations issues that affect Greenland. Likewise, the report recommends that as Greenland assumes more responsibility for administering its own affairs it should seek to take a proactive role by working with Denmark to increase the participation of Greenlandic residents in decisions regarding the presence of foreign military forces in their country. In addition to calling on Denmark to cleaning up the existing messes, Tuncak also urged that Danish authorities do their part to prevent future pollution incidents that are within Copenhagen’s jurisdiction, areas like administration of Greenland’s seas and airspace, as well as foreign affairs, which it conducts on behalf of the entire Kingdom of Denmark. Of particular concern for Greenland are Russian and European rocket launches that rain toxic debris over the sea between Greenland and Nunavut, which is an important hunting area for Inuit. Because Greenland has assumed responsibility for environmental protection, preventing pollution relating to its own activities or the activities it sanctions lies squarely on its shoulders, the report underscores. And here, Tuncak suggested that Nuuk still has work to do. Noting, for example, that succeeding governments have tied Greenland’s economic future to mining, the report warned that existing environmental protections may not be adequate to address the “wide range of potential adverse human health and societal risks” the sector is responsible for. “Considering the significant risks posed by some activities, greater capacity among environmental officials might be needed to ensure standards are implemented,” Tuncak said. Likewise, because Greenland suffers disproportionately from the consequences of pollution transported to the Arctic, the country would benefit by increasing its participation in international efforts to monitor and report pollution, as well as to provide access to information and allow the public to influence environmental policy.